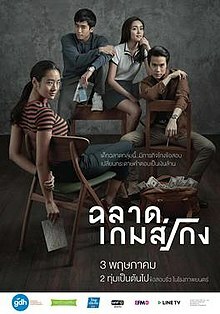 Playing on the Thai obsession with academic achievement and test taking, Bad Genius is a comedic heist thriller that plays out in a prestigious high school. Genius student Lynn arrives on a full scholarship. When her friend Grace needs a few test answers, Lynn helps her out, leading to an elaborate cheating scheme to help out other rich-kid students. Soon busted and having lost her scholarship, there is nothing else for Lynn to do but plan to crack the international U.S. university exam and make millions in the process. “A whip-smart script that makes answering multiple-choice questions as nail-biting and entertaining as Ocean’s Eleven.” —Variety. Best Film, NY Asian Film Festival. In Thai with English subtitles.